Like to chat with friends on Facebook about nearly everything in your life? Well, apart from being a bad idea when it comes to sharing sensitive information with people that can use it against you, this habit can also contribute to losing some money. Actually, it can contribute to losing a lot of money. Lottery scams aren’t a new thing. They have been around for as long as lotteries have been in existence. Scammers, however, are crafty little creatures. They look for new opportunities and they seize those as soon as something new emerges on the horizon. 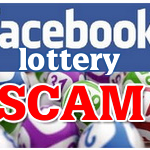 It was a matter of time for a lottery Facebook scam to emerge. One such rip off scheme is already here. And since we care about you and your money, we’re going to give you the scoop. Don’t forget that we were the first ones to warn you! Your Lucky Friend Won Thousands of Dollars and so can You! The Facebook scam works through private messages that appear to be sent from a friend you regularly communicate with. Little do you know that you’re being scammed by experienced crooks. An American woman has been one of the people scammed this way. One day, Jackie Dimmick-Steiner got a message from her dear friend Tom. Or so she believed. The message said that Tom won 150,000 dollars through a Facebook effort to help individuals in need of assistance. Tom then went ahead to tell Jackie she’s also a winner and that he had seen her name in a list of individuals entitled to the same amount. The scammer directed Jackie to the Facebook page of a person presenting himself as an online agent. As expected, Jackie was told by the “agent” that she had won 150,000 dollars. The money could be claimed after she paid the modest processing fee of 1,000 dollars. You’re already getting an idea about what happened next, aren’t you? Well, the good news is that Jackie didn’t lose her 1,000 dollars. She had enough common sense to call the real Tom and find out that the messages were sent by somebody else. 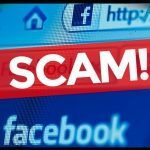 The Facebook scam attempt that Jackie was subjected to is just one of the rip-off attempts plaguing the online community. After doing a bit of additional research, we’ve come across various other lottery scams that are executed through the social network. Sometimes, Facebook users will get a private message that looks like a legitimate official letter. The letter then goes on to say that the lucky Facebook account holder has won a massive sum, usually in the vicinities of 600,000 dollars. Needless to say, the mail concludes with a date by which the award has to be claimed. The message also includes a form that the “winner” is asked to fill out. The data that’s required for claiming the award includes address, mobile phone number, marital status, nationality and email address. What’s even more hilarious (or tragic, depending on your point of view) is that the message is signed by Mark Zuckerberg, Facebook’s billionaire CEO. It’s incredibly easy to identify this lottery as a scam because of several ridiculous claims included in the message. 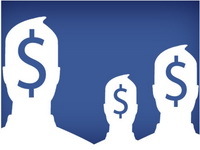 For a start, Facebook is a social network that has 1.4 billion active users. Such a large online platform will obviously have no need to encourage new people to sign up. In addition, there’s a date by which the award should be claimed. This is one of the most obvious signs of a lottery scheme. The fact that you’re getting a message from a lottery you’ve never entered is another warning sign. Finally, the message asks for personal information. This isn’t the policy of any legitimate lottery so don’t give out any information if you receive this kind of Facebook letter. How to Handle a Facebook Scam? If you get a message from a friend about any lottery opportunity, you should most definitely contact that friend by phone or in person to verify. Next, contact Facebook about the scam attempt. For more information about reporting scam attempts, visit this official Facebook guide. Depending on the number of reports and the gravity of the rip-off, the Facebook team will undertake the necessary actions to identify the perpetrator. Also, you can submit a report to the Internet Crime Complaint Center. You’ll see detailed instructions there about how a complaint should be filed. Include as much information as possible for the fraud to be identified and the necessary measures to be undertaken. The Internet Crime Complaint Center deals with all kinds of issues, from emails asking for bank account information to identity theft and more serious cyber crime. Remember – lotteries have been modernized but you just can’t win through Facebook, even if Zuckerberg says so. Stick to traditional lotteries, don’t expect to win money you haven’t submitted a ticket for and you’ll most definitely stay on the safe side.